Having started her professional journey as a cleaner at DHL Express, Sekhoetsane is today co-owner of the first DHL Express Service Point agency in Soweto, which marks a milestone for both the company, as well as Sekhoetsane’s entrepreneurial journey. Born in Winterveld, Pretoria, Sekhoetsane’s life was turned upside down at the age of six when her mother and four sisters were forced to move to Johannesburg with no place to live. Living on the streets and eventually in a shack in a resident’s back yard in Nhlope, Katlehong Township, Sekhoetsane was also unable to matriculate after having fallen pregnant with her second child in 1993 while completing Grade 12. 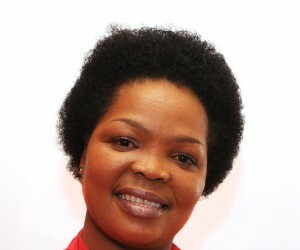 Sekhoetsane secured her first job as a domestic worker in 1995 and in 1996 joined DHL’s Midrand Station as a cleaner, before working her way up through the company to ultimately becoming a business owner. While employed as a cleaner, Sekhoetsane continually observed the receptionist at the station and soon began standing in for her while she was on her lunch break. In 1998 she was offered a permanent position as a receptionist with the responsibility of answering all calls and managing the cashier. 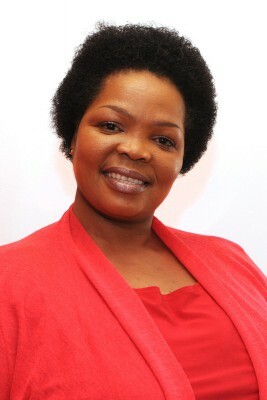 Following this role, she was promoted to After Sales Agent in the Customer Service department in 2003, then promoted to Undeliverables Agent in the Operations department in 2005 and in 2007 Sekhoetsane was appointed to the position of Operations Assistant. It was during this position that Sekhoetsane saw a gap in the market in providing a service agency to Soweto and its surrounding areas - an ever-increasing informal hub for business in the country. “At the time I was dealing with a lot of queries from Soweto and saw a big gap in providing courier services to this area,” says Sekhoetsane. After discussions with her colleague and close friend, Pako Seate, who was also an Operations Assistant at the time, a business proposal was submitted to management in 2011 to open an agency in Soweto, the first venture for DHL Express in the area. According to Hennie Heymans, Managing Director for DHL Express South Africa, the opening of the Service Point in Soweto is twofold for the company. “Not only is this our first agency in Soweto but it also brings DHL and its worldwide services closer to all residents of South Africa. The fact that the owners are former employees is even more encouraging as it is exactly what we aim to achieve within the company, and that is constant employee development. It fills one with amazing pride to be able to play a small part in people’s life journey. We are about more than just delivering a shipment; we in fact deliver hope, joy and prosperity,” says Heymans. 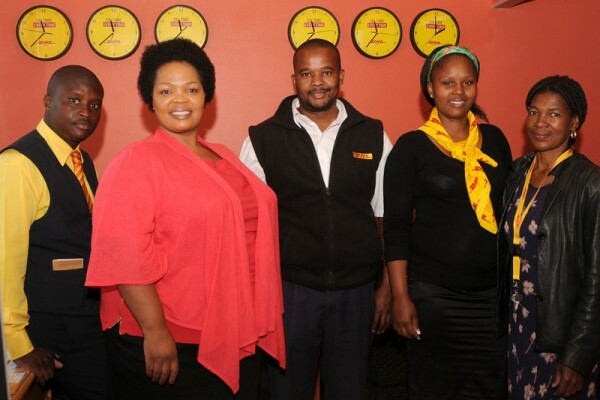 The new Soweto Service Point agency is based at Asambhe Soweto Complex, on the corner of Dynamo Street and Chris Hani Road and currently employs three staff members; a driver, receptionist and credit controller. “I had a wonderful journey working for DHL. I developed business skills and met amazing people who always supported me in and outside the office. Pako and I would like to see our station grow to sending 400 shipments a day and creating employment for more people,” concludes Sekhoetsane.